Painting can be confusing right? And when it comes to painting a living room, it’s even more challenging. Because you may want something bright, while other members may have different choices. So, here I am to solve your confusion with these living room paint ideas. 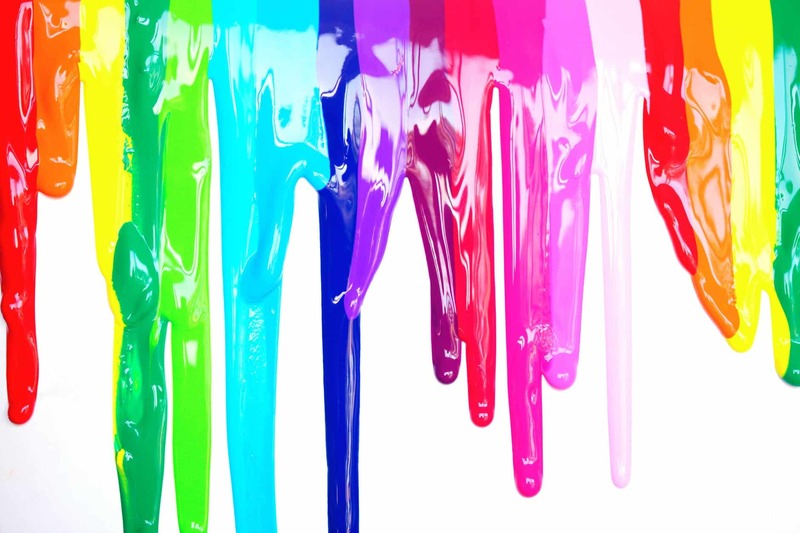 Keep reading this post and I am sure by the end of it all your doubts regarding the color will be clear. But Why Right Color Is Important for Living Room? A living room is a space where your entire family comes together. It is the living room where you first enter when you come home from outside. It is the first thing that gives you a homely feeling. A living room is a ‘social space’ where you invite guests, bond with your family, entertain your friends and guests, etc. 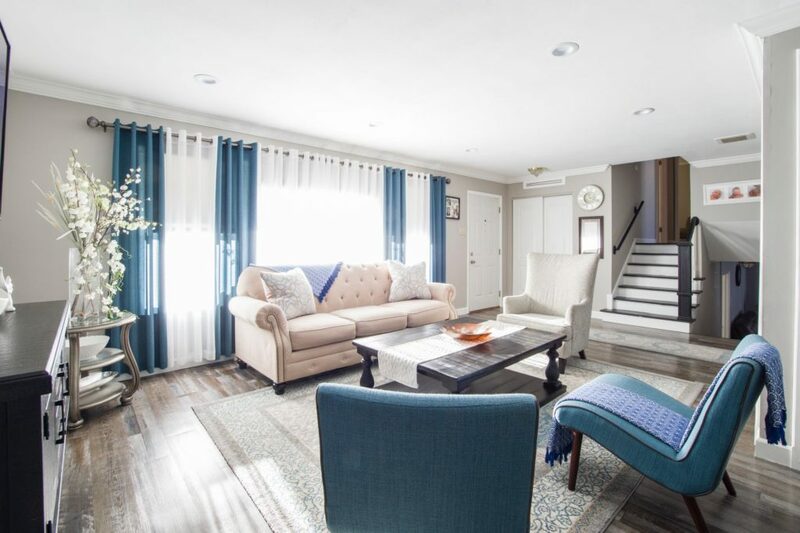 Living Room is a go-to spot for you and your family members and one of the most important rooms in your house. Therefore make it into a place that brings out your personality and you can make you feel home and relaxed. Painting is an amazing way to make your living room fun, interesting and unique. And it is not even heavy on pockets. So, opt for colors that you and your family members like and can impress your guests successfully. 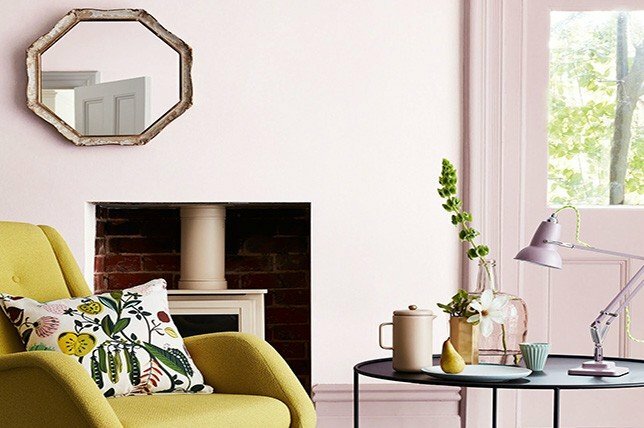 Now, whether you want to go for bold or neutral colors or something vibrant or totally relaxing, we have got all these covered for you in this article. Let’s make your living room amazing. When in doubt, include white. White shade can easily make anything beautiful. It is so easy to merge white with shades of grey. You can give a coat white color to the ceiling and a single light shade of grey or combination of different shades of grey for the walls. You can even use a dark shade of grey on one wall to create a focal point of the room and light shades on the other. Make the room more beautiful by using some colored chairs or curtains. White color will make your room appear more bright and airy. It will give a sophisticated look to your room and make it appear bigger. Not a completely white person? 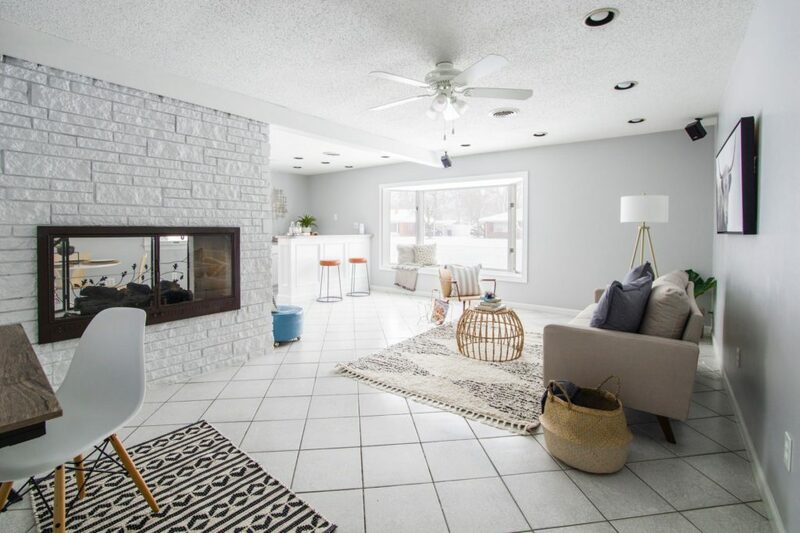 No problem, Merge your favorite shade with white and give your living room a pop of your personality. It is one of the popular choices these days. Use any color shade light or bold to create a focal point of the room. 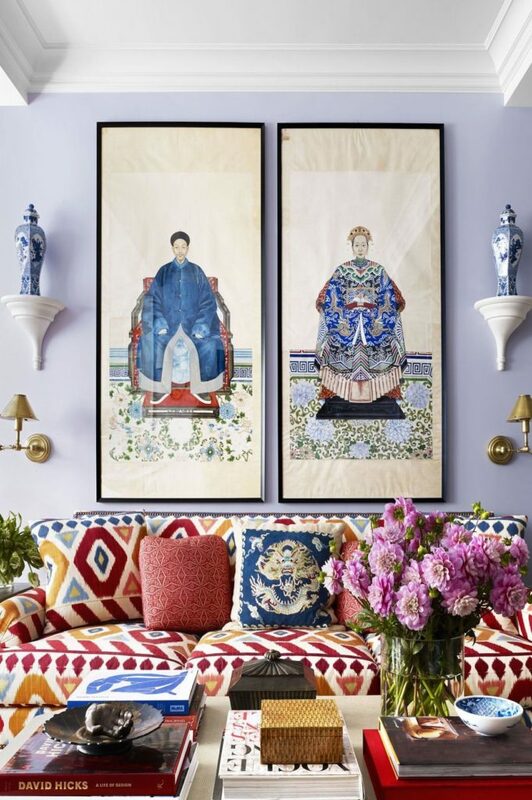 Add in frames to walls and matching color cushions or rug to make your room more interesting. Green shades have a great effect on my mind. We feel calm and relaxed. 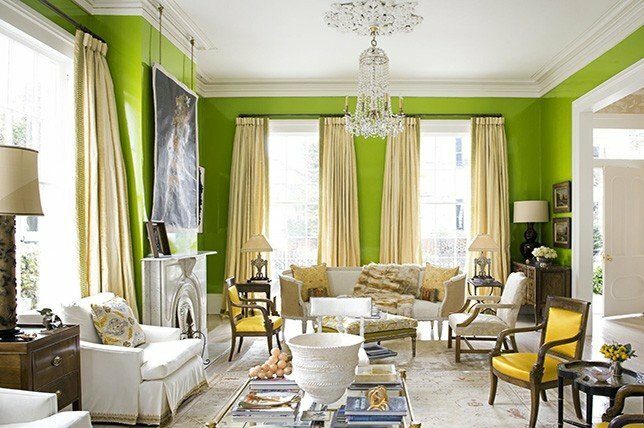 If you are a person who loves greenery, then use the Green Chartreuse color in your living room. This way the living room can be your go-to place for relaxation and also bring out your personality. Green shade will bring in the natural vibes to your home. If you think green chartreuse will be too dark for you then go with shades live Sage Green, Grass Green or Olive Green. Any green can bring in the feeling of nature in your home. Lilac color works amazingly in the living room. Its give a very nice natural look. The natural vibes that you receive in the shades of green can be easily achieved by this light shade of purple. You can match any pattern rugs, sofa, frames with lilac to give a traditional and unique look. Lilac color will make your room brighter and sophisticated as well. It will also give you a comforting and relaxing atmosphere. 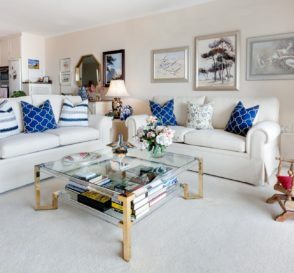 Put some nice flowers on the coffee table and use some patterned throw pillows to create a lively look. 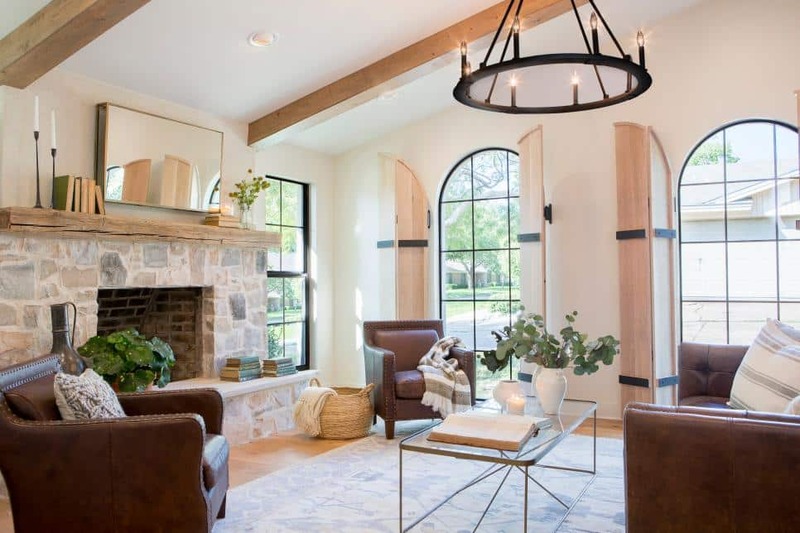 Neutral colors create a cool and calm living room space. They give you a very inviting and comfortable atmosphere. Neutral make a perfect background for you to accessorize your space with nice chairs rugs and decors. Use some lights and flowers to make the more interesting. Beige, cream, ivory, and tan are some of the most popular choices for the living room. Pastel colors give a nice fresh and warm feeling. Use a combination of pastel colors for your walls and some dark shades of the color for furnishing and accessories. This will also give your room a pop of different colors and make it all colorful and bright. If you don’t want pastels on the walls, then use white and use pastel colored pieces of furniture. A color palette of pink, blue and green (mint green and pink or pale pink and blue) adds richness to space. If you want something more interesting and not just plain color then use stripes on one of your walls. Use neutral colors to make the stripes to make the room classy and modern. Horizontal stripes make an illusion of a wider room whereas vertical stripes make the room feel tall. Stripes also help create a great focal point in the room. It is also one of the trendiest living room paint ideas. A textured or patterned wall will give a more appealing look to your living room. If you have always painted your room solid and plain then this time try experimenting with textures. Marbling, rag rolling, and stippling are some of the common textures to create a textured wall. This wall can be an accent wall of your room. It will make the living room feel luxurious. 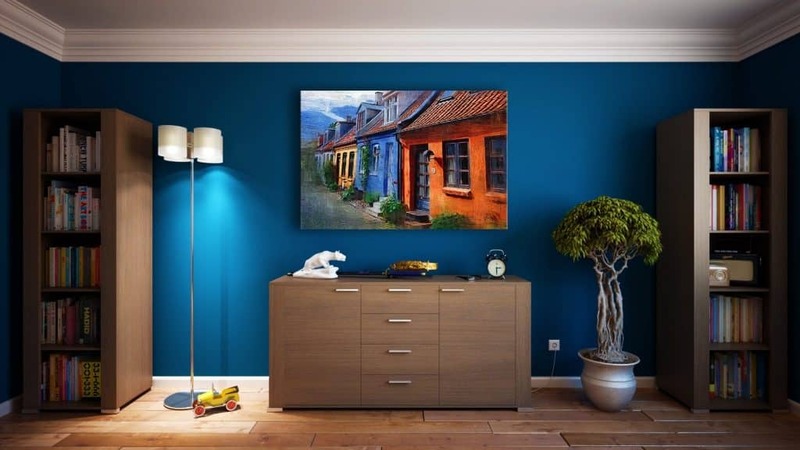 Customize the wall with paintings, family photos or any artwork. You can even customize the wall by using bricks pattern. 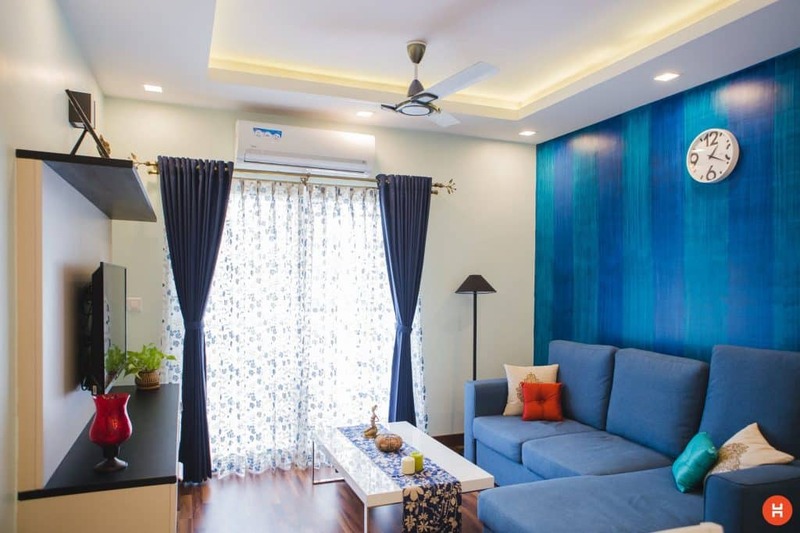 Blue shade can do wonders to your room. It will give you a natural, bright and open feeling. Light shades of blue can be used for normally painting your walls, whereas jewel-toned blue, peacock blue or shiny blue can be exceptional for accent walls. Blue shade can be coordinated with white, black or light pink. It’s time to go bold. 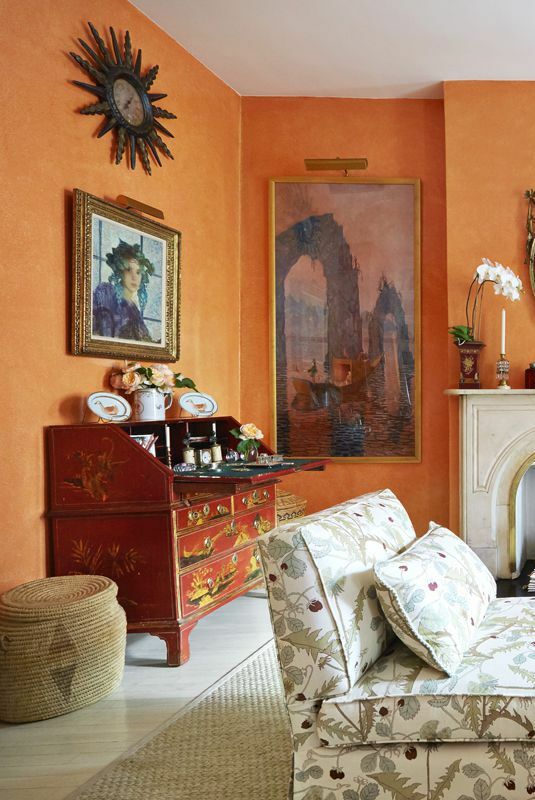 Give your dull living room a lively look by using the orange paint. Orange color makes your room warm and cozy. Orange shade can fill your room with light. If you are scared of the orange color then paint only one wall with it or use a peach shade for the beginning. So, I hope you have made up your mind about the color you want for your living room? If you found these living room paint ideas useful, do share it with your family and friends who are planning to paint their living room.